The Feinstein Institutes for Medical Research publishes two open-access, international peer-reviewed journals, Molecular Medicine and Bioelectronic Medicine, in partnership with BioMed Central, part of Springer Nature. Recent findings published in Molecular Medicine elucidate disease pathogenesis that may lead to the design of specific tools for disease diagnosis, treatment or prevention. 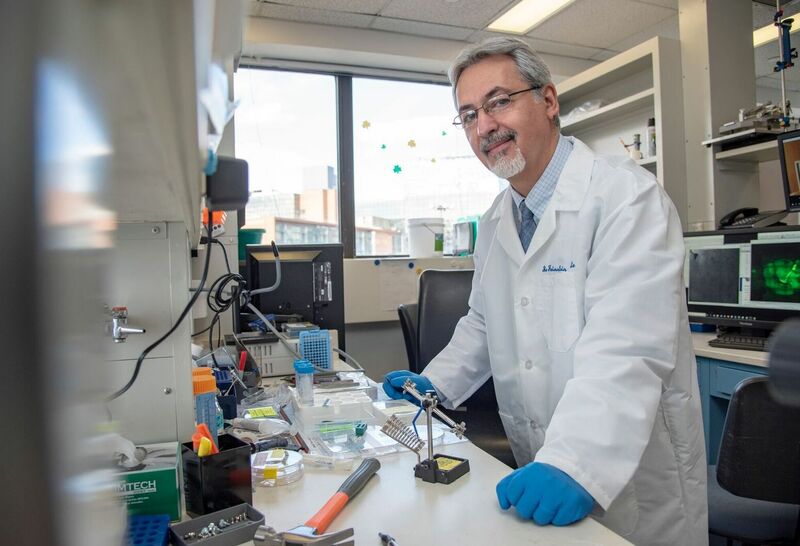 Publications in Bioelectronic Medicine explored findings in the field—one that brings together molecular medicine, bioengineering and neuroscience to discover and develop nerve stimulating and sensing technologies to diagnose and regulate biological processes and treat disease. For Bioelectronic Medicine, the editor-in-chief is Kevin J. Tracey, MD, and the executive editor is Valentin A. Pavlov, PhD. To view the full editorial board, click here. For Molecular Medicine, the editor-in-chief is Betty Diamond, MD, and the executive editor is Dr. Pavlov. To view the full editorial board, click here. Why publish your article in Bioelectronic Medicine and Molecular Medicine? Bioelectronic Medicine and Molecular Medicine's open access policy allows maximum visibility of articles published in the journal as they are available to a global audience. The Feinstein Institutes and Molecular Medicine confer the Anthony Cerami Award in Translational Medicine and the Ross Prize in Molecular Medicine. Bioelectronic Medicine and Molecular Medicine offer a fast publication schedule while maintaining rigorous peer review; all articles must be submitted online, and peer review is managed fully electronically (articles are distributed in PDF form, which is automatically generated from the submitted files). Articles will be published with their final citation after acceptance, in both fully browsable web form, and as a formatted PDF. Online publication in Bioelectronic Medicine and Molecular Medicine gives you the opportunity to publish large datasets, large numbers of color illustrations and moving pictures to display data in a form that can be read directly by other software packages, allowing readers to manipulate the data for themselves and create all relevant links (for example, to PubMed, to sequence and other databases, and to other articles). Articles published in Bioelectronic Medicine and Molecular Medicine are included in article alerts and regular email updates. Some may be highlighted on Bioelectronic Medicine and Molecular Medicine’s pages and on the BioMed Central homepage. In addition, articles published in Bioelectronic Medicine and Molecular Medicine may be promoted by press releases to the general or scientific press. These activities increase the exposure and number of accesses for articles published in Bioelectronic Medicine and Molecular Medicine. A list of articles recently press-released by journals published by BioMed Central is available here. As an author of an article published in Bioelectronic Medicine and Molecular Medicine you retain the copyright of your article and you are free to reproduce and disseminate your work (for further details, see the BioMed Central license agreement).